Isabela Cigar Company is pleased to announce the debut of our most aggressive blend to date — the 2018 Isabela Shape-Shifter! 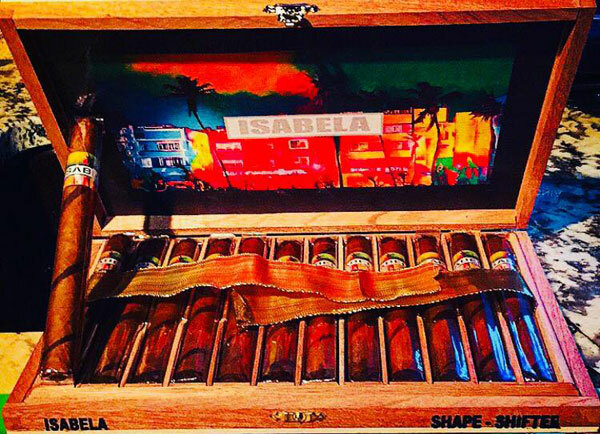 Created with multiple varies strains of high-priming Nicaraguan tobaccos, the Isabela Shape-Shifter is wrapped in aged Ecuadorian Connecticut and Nicaraguan Habano Prieto. All of the tobaccos used in this remarkable cigar are aged at different lengths, then blended with an added sliver of fresh Pennsylvania Ligero. With a patient post-production seasoning of over 2 1/2 years, our latest release delivers a mind-bending blend of powerful transitions that reveal ever-changing flavor profiles. The Isabela Shape Shifter is limited to 50 boxes of 12, and 50 bundles of 25, each of which will be available to our official Isabela retailers starting on Dec 1, 2018.